Home Personal Tax What Work Related Costs Can I Claim as an Employee? Being an employee has certain tax benefits. In fact, you can claim certain costs of going to work against your taxes. This will reduce your tax bill. Anyone who has a job can claim the Canada Employment Amount. This is a tax credit that should be claimed on your tax return. The amount of the credit is a maximum of $1,127. Medical expenses are one of the most missed tax credits each year. Medical expenses include premiums paid by you for medical benefits that are part of a group benefits plan. The premiums are normally deducted from each paycheck, which is why they are easy to overlook. The total amount of premiums that you paid for medical benefits should be shown on your paystubs. So keep your pay-stubs in case the CRA asks to see them in the event of an audit. You can receive a tax credit for charitable donations made to registered charities. If you have given a donation at work, the amount of the donation will be shown on Box 46 of your T4 slip. In addition, you can claim donations made outside of work, so long as they are made to registered charities. Remember to provide all of your donation slips to your accountant. 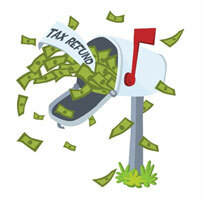 Claim the costs of going to work on your tax return, and maximize your tax refund.